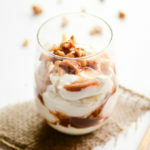 This vegan caramel banana cream parfait is all that and a bag of chips walnuts. 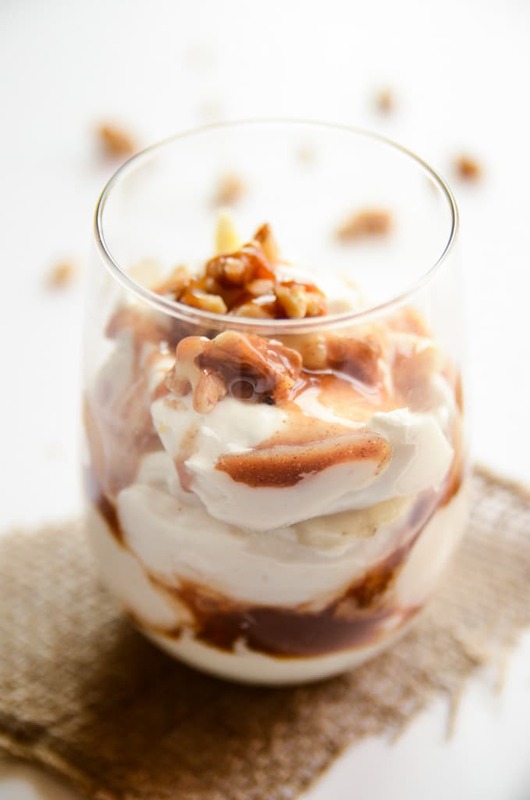 Coconut cream is whipped with super-ripe bananas, a splash of pure maple syrup, and vanilla extract until it becomes light and fluffy banana cream. 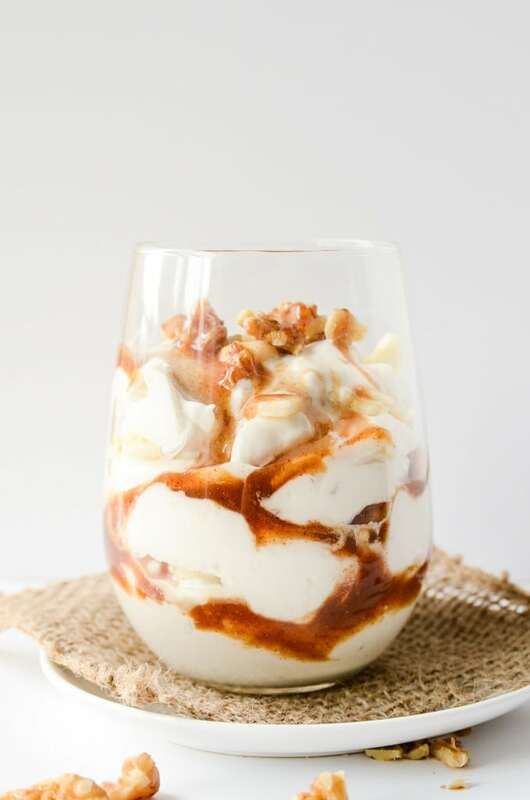 The banana cream is layered with this 5-minute vegan caramel, banana slices, and walnuts to create a parfait that is easy on the eyes and satisfying to the soul. Have I ever told you the story about the time I singed off some of my hair while cooking? Probably not because it just happened on Monday. 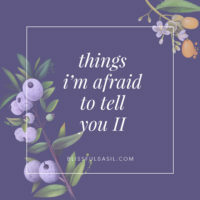 In this blog post I hinted at the variety of life things, both wonderful and frustrating, occurring all at once, but I don’t think I had fully processed my feelings around any of it until Monday. Monday was one of those days when it seems like everything keeps going wrong, and somehow I developed this irritable, woe-is-me attitude that only seemed to pull more blah-ness (totally legit word right there) into my day. Somewhere in the midst of our kitchen being torn apart due to water damage from a leaky roof, our granite counters and cabinets sitting in the middle of our living room, unexpected complications uncovered during the repairs, and the whirring of three of the loudest fans I’ve ever encountered, I lost it. 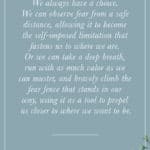 The normally happy, “everything happens for a reason” attitude I have towards life momentarily dissipated, and I felt nothing but overwhelmed. By the time I finally got into the functional corner of our kitchen around 8:45 that night, I wanted nothing more than to let my worries be lost in a moment of cooking. To take in the sound of olive oil crackling over the stove, the sight of zucchini noodles billowing out of a spiralizer, and the scent of garlic turning golden in a pan. That last hope turned out to be the demise of a small portion of my hair because as I leaned over the pan to take in that garlicky goodness, I forgot that I hadn’t pulled my hair back as I usually do while cooking. Thus our “power burner” — yes, it actually says this on our stove — got the best of my freshly-trimmed fringe. Fortunately, the flame only claimed about a half inch of a small chunk of hair; however, the smell of burning hair < the smell of simmering garlic. Cooking therapy fail. Although yesterday initially brought much of the same frustration and not-so-lovely attitude, I decided that approach was leading me nowhere positive, so I willed myself into a late afternoon workout and meditation session. It’s amazing what a little movement and deep breathing can do for the soul and the mind. It refreshed my perspective on the situation (i.e., water damage and a kitchen in disarray are incredibly minor life issues, and I have an abundance of things to be 110% thankful for), and I decided to roll with the water-damage punches and take whatever tricky stuff comes my way as an opportunity to learn, grow, and change. This berry and coconut whip parfait that I posted back in July turned out to be such a hit that I figured it was worth creating a remix. For this variation, coconut cream is whipped with super-ripe bananas, a dash of pure maple syrup, and vanilla extract; and the combination becomes an undeniably-addictive banana cream. 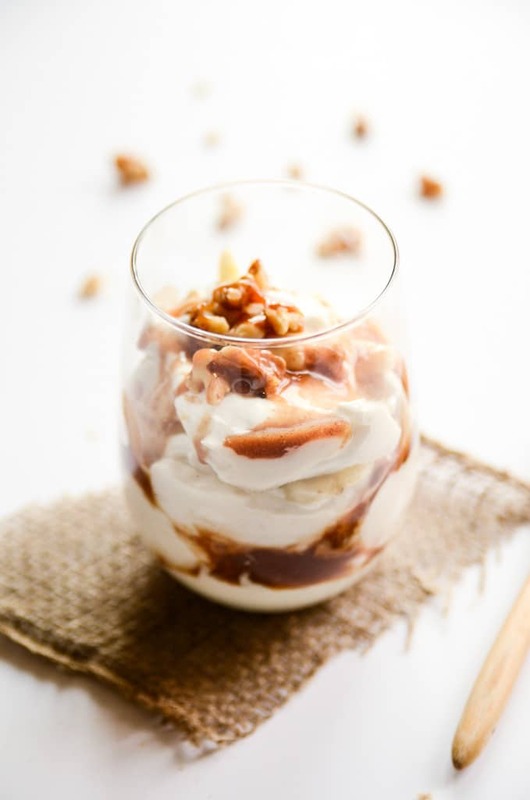 Then, the banana cream is layered with this 5-minute vegan caramel, banana slices, and walnuts to create a parfait that is easy on the eyes and satisfying to the soul. This is currently my absolute favorite dessert, and I can’t get enough of it. 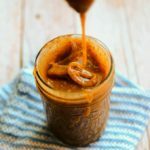 It’s simple, wholesome, and packed with the most amazing caramel-banana flavors. Also, because Dan encouraged me not to let Sound Bites fall to the wayside in the midst of all this life stuff, here is a new tune for you. I seem to be attracted to songs with a contradictory juxtaposition between lyrics and overall sound, and this tune undoubtedly emanates that quality. The lyrics, albeit a bit dark, are overpowered by the feel-good beat and the positive melody carried throughout the song. Let’s all hold on tight and let any circumstantial complications vanish within the positivity of life’s powerful beat. Add 1 1/2 bananas, maple syrup, and vanilla extract to a mixing bowl. Beat on high with a hand or stand mixer for 1 minute. Add in the coconut cream and continue beating for 2-3 minutes or until smooth and fluffy. Slice the other 1 1/2 bananas. 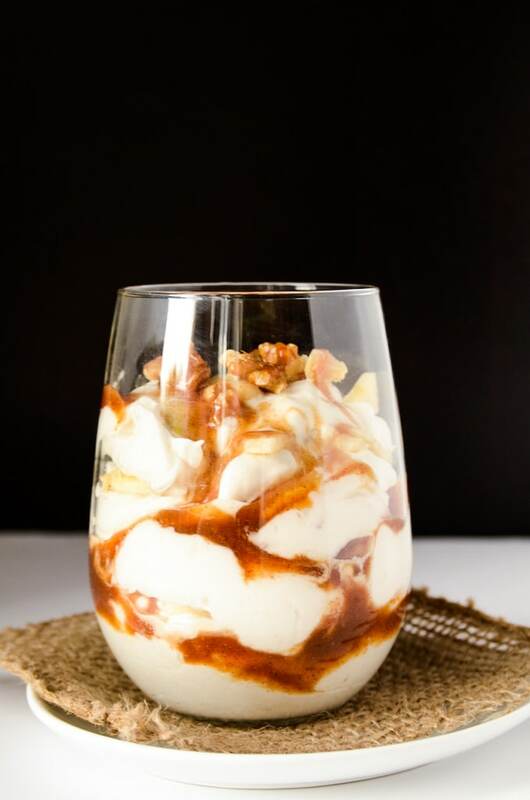 In 4 glasses, layer the banana cream, the banana slices, and the caramel. Repeat 2-3 times, garnish with walnuts, and serve or refrigerate until ready to serve. *If you can't find coconut cream, purchase 1 to 2 cans of full-fat coconut milk, remove the lids, and let the cans sit overnight in your refrigerator. Then, scoop off the thick cream at the top of the cans, excluding the watery liquid at the bottom. Save the coconut water to add to smoothies! Love this post! 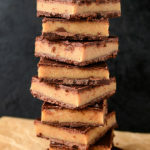 A great laugh and cannot wait to try this recipe! Thanks, Kelly! I’m glad you got a laugh out of it too :) Sometimes the best approach to frustrating situations is laughter! This looks so divine, I can barely handle it. I can’t wait to try it! Thank you. Nice presentation and looks delicious! Angels sing?! What a compliment, Molly! I’m sooo happy to hear that the caramel will be a staple in your fridge. 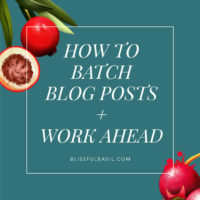 That recipe was the most happy accident of my blogging life thus far, so it’s near and dear to my heart. I’m glad it’s now near and dears to yours, as well! Until I read your comment, I didn’t even know Cream of Coconut existed! That is a tricky little name, as I would have thought the two were interchangeable had I not just researched it. Good to know, and I’m so glad it still turned out decent despite the mix-up. Thanks for taking the time to comment back with your results and such sweet words; I really appreciate it! When you say coconut cream, are you using the sweetened one that goya makes or is there another brand you recommend? Hi, Mia! You want to use unsweetened coconut cream or full-fat coconut milk. I love Thai Kitchen full-fat coconut milk and Trader Joe’s coconut cream. If you use coconut milk, just make sure to open the can and pop it in the fridge overnight to firm up the texture. I hope this helps and enjoy! I made these parfaits for my family yesterday, they were absolutely amazing!!! Everyone loved them. AND the leftover vegan caramel was awesome on my morning bagel. :) Thank you! Hi, Nicole! I’m so happy to hear that you and your family loved the parfaits. I’ve never tried the caramel on a bagel, but I might have to shake up my morning routing with that brilliant combination. I usually sneak my morning caramel dose in by drizzling it on berries or on top of my smoothie :) Thanks for taking the time to share your feedback, and happy Friday! Looks delicious! But why would you just discard the “watery liquid” from the canned coconut milk? It’s just coconut water that separates from the more fatty milk. Nothing wrong with it that I’ve ever heard of. Save and use for in smoothies for natural electrolytes! Nature’s Gatorade. Really hope that didn’t come off snobby! 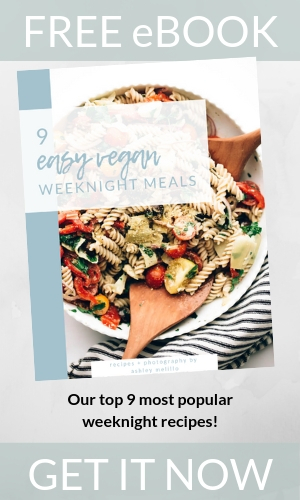 Loving all your recipe ideas so far! Thanks, Audrey! I probably could phrase that better, but I meant to discard/exclude it from the recipe to keep the coconut cream as thick as possible so that it sets. I’m sorry for the confusion, and thank you for your input and pointing that out. I’ll adjust the note. 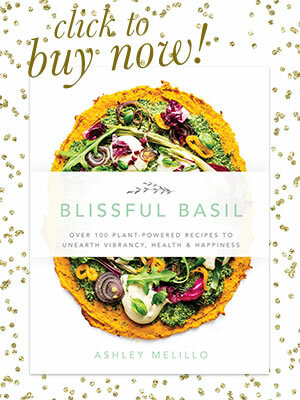 I cooked Banana Cream for “Italian No Meat Day” on my blog, and I mentioned You and Blissful Basil … Delicious! 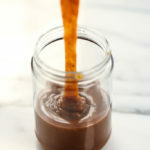 Where do you get or how do you make the vegan caramel? My banana coconut cream mixture curdled after whipping a couple minutes and became a texture of tiny lumps instead of the smooth cream you’ve pictured. Thoughts? I double checked and my can was indeed coconut cream not milk, though it did look separated at room temperature. To fix it, I heated up the banana cream mixture so it’s more of a custard texture. Did I miss a step? Hi, Michelle. First of all, I’m so sorry to hear it’s giving you trouble! Never fun. Unfortunately, canned coconut milk seems to becoming more and more temperamental these days. I’ve actually had quite a bit of trouble with curdling coconut milk over the last several months (in general, no matter the recipe). Not sure if brands are including more additives or what the problem is, but some of my fellow bloggers have mentioned the same problem with curdling. The fix you used (heating it up to emulsify it and remove the curds) is the only thing I’ve found that works. A few months back, I was making whipped coconut cream and it curdled on me, so I heated it, chilled it down overnight, and then re-whipped it. It didn’t whip up quite as fluffy, but it helped. I’m sorry I don’t have a better fix, but I completely feel your pain! Even my favorite brands (Trader Joe’s coconut cream and Thai Kitchen) occasionally give me difficulties these days—so strange. 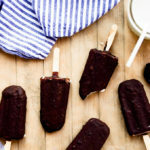 is there a substitute for the coconut cream? probably yoghurt? Hi, Emily! I don’t know of a good substitute for the coconut cream (perhaps cashew cream could work, although it’d offer a denser texture with a slightly gritty mouth feel). Yogurt won’t whip up the same way coconut cream will. 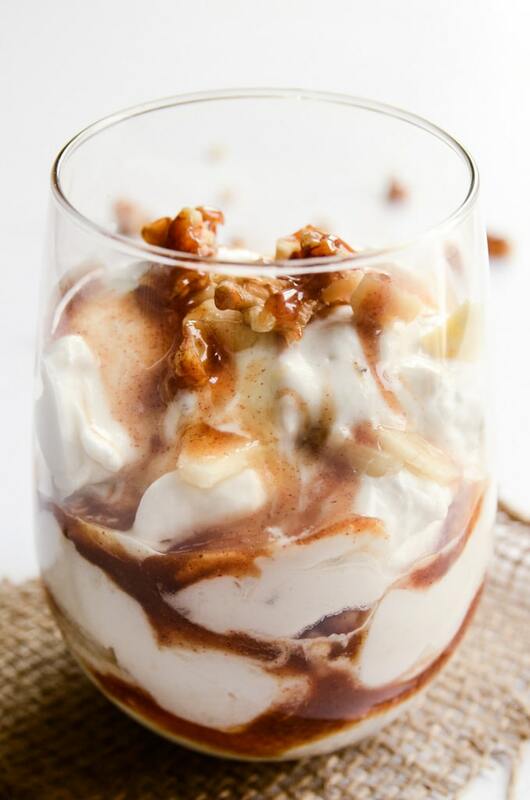 I made your vegan caramel banana cream parfait for Thanksgiving. 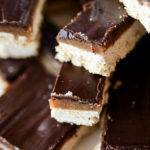 I have to say it is the tastiest vegan dessert I have ever made! !This recipe is super easy and full of delicious flavor!! 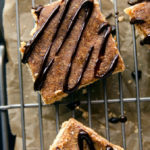 I am new to the vegan scene and have tried a few desserts but this one by far is the best! I will definitely be making it again and have already thought about variations I could try. So happy to hear you and your husband are enjoying the recipe, Kitty! Thanks for taking time out of your weekend to come back and share your thoughts. Means so much. This was so amazingly delicious! Thank you for creating and sharing it!! One question- I was expecting a thicker consistency, but it turned out similar to the consistency of yogurt. I used Thai Kitchen Coconut Cream. I was thinking it may thicken in the fridge, but no. Did I not beat it long enough? Or is it really supposed to be thin like that? Regardless, we will be making this recipe again and again! Hi, Chelsie! I’m so happy to hear you’re enjoying the recipe! The consistency should be quite thick and fluffy (almost like a mousse), not like a yogurt. Unfortunately, some brands of coconut milk can be quite temperamental because of added stabilizers and gums. My go-to is Trader Joe’s organic coconut cream, as I’ve had hit-or-miss results with Thai Kitchen in recent years. Hope this helps!